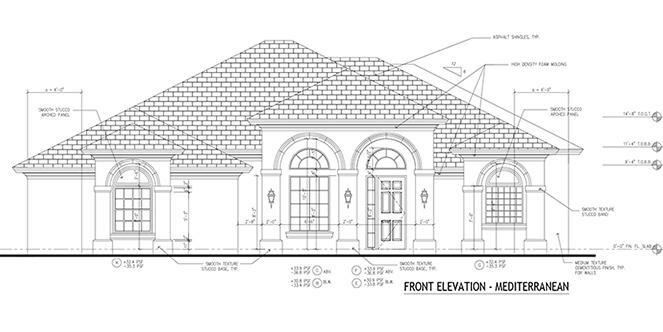 Our highly sought after, Avalon 17 - Is under construction! This home offers 3 Bedrooms and 3 baths, a Large garage with work space, Impact windows and doors throughout, Mediterranean Elevation, Tile throughout, Rectangular undermount sinks. The kitchen also features level 2 cabinets and a Gourmet kitchen with built-in double oven. HOA of $625 quarterly which includes Lawn Maintenance, Lawn Fertilization, Irrigation & Irrigation Maintenance, Community Gate, Community Common Area Maintenance & Lake Maintenance. Beautiful waterfront lot! Call Nicole Morris for more information 772-882-8990. Beautiful lakefront lot in Eagle Trace Estates!